Successfully Added Wireless IP Camera - 1/4-Inch HD CMOS, 720p, SD Card Recording, App Support, Night Vision, IR Cut, Motion Detection, WiFi, PTZ to your Shopping Cart. 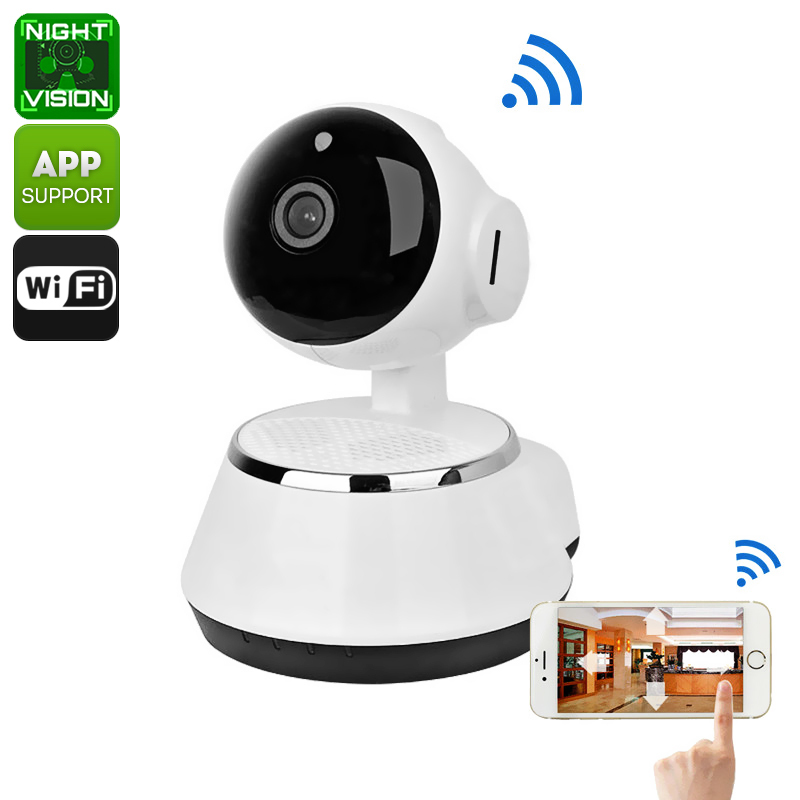 Keep track of everybody that enters and leaves your property with this wireless IP camera. Putting forth crisp 720P footage at 30FPS, this HD security camera treats you to detailed security footage at all times. It features PTZ technology and, via its WiFi support, it can be accessed and controlled from afar. This can be done both through mobile phone or PC. Thanks to this, you’ll always be up to date on the latest security status of your property. The IP camera comes with a large viewing angle, meaning that not a single movement will stay unnoticed with this security gadget in place. With its motion detection and numerous alarm features, this indoor IP camera makes sure that not a single person enters your property unnoticed. It treats you to a build in microphone and speakers that allow you to communicate with visitors or possible intruders from afar. Simply connect this WiFi IP camera to your PC, MAC, or smartphone – and you’ll always be up to date about what’s going on in your home or office. With this camera at your side, the security levels of your property will be increased significantly. This wireless IP camera comes with a 12 months warranty, brought to you by the leader in electronic devices as well as wholesale security cameras..